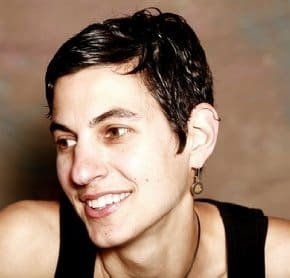 Click here to get great modernist content via email Becky Selengut is the Chef Reinvented, a chef, author, and teacher. She was an avowed hater of sous vide until she decided to see for herself what all the fuss was about. Now, while still not a huge fan, she has at least embraced some aspects of sous vide. Here are her thoughts on sous vide, change, sustainable cooking, and keeping an open mind. You can follow Becky at ChefReinvented.com or on Twitter @ChefReinvented. 1) You're an accomplished chef and author. Can you tell us some about your background? I've always been interested in science and thought about a career as a surgeon. Obviously that didn't happen but I figure I still get to wear the white coat, use knives and deal with blood. I was pre-med but switched to go to culinary school. After I graduated I spent about 8 years working in restaurants but knew my passion was in teaching and writing so I set out on my own. Now I do private chef gigs to support my teaching and writing habit. 2) You recently decided to see for yourself what all the sous vide hype was about so you ran some tests comparing sous vide to traditional cooking methods. Can you recap what you found out? Essentially I discovered that it's foolhardy to dismiss something without trying it. I had been talking a lot of smack about sous vide but honestly hadn't even bothered to explore it so I set out to see what it was all about. What I discovered is that cooking successfully the traditional way is really dependent on a lot of skill and a fair amount of luck. Sous vide (among other techniques) in some ways democratizes the results by pinpointing perfection down to the exact degree and making good results possible even to beginning cooks. Of course the expensive equipment is a barrier to many but perhaps someday soon the price will come down. 3) A lot of the sous vide debate seems to have become black and white, as you say it's either the "Spawn of Satan's Bath Tub or Viable Modernistic Cooking Technique." You seem to feel like I do, that the truth is somewhere in the middle. How do you think this gets reconciled as time goes on. I think it's human nature to resist things that are new - especially if you've built your career around a traditional methodology. That being said, you either keep up with progress or fade away into obscurity. Cooking "traditionally" for lack of a better term will always be my go-to way of cooking because frankly, it just has more soul - but I'm too curious of a person, too keenly aware of the benefits of some aspects of modernist cuisine to not incorporate it into my world. People will begin to see that traditional cooking has always been a manipulation of chemicals, albeit with less awareness, and modernist cuisine just turns a laser-eyed focus on that manipulation. 4) Are there any sous vide dishes you've had that have surprised you by how good they were? Are there any dishes that in your mind just shouldn't be done sous vide? I've been most impressed with foods like chicken which tend to get overcooked and lose a lot of moisture when frying. A fried chicken first cooked sous vide is pretty awesome. As I found in my steak tests, a tenderloin done sous vide is pretty darn perfect. I'm still not 100% convinced about fish - so far in my experiments the texture is just a bit too compressed for my tastes - perhaps I'm not doing it correctly or need different equipment. I often see "compressed" fruit on restaurant menus and frankly, I've yet to see the benefit to this - the food tastes the same as fruit cooked more traditionally. But, hey - I'm embracing this thing people called being "open-minded" so all these opinions can easily change as I learn more about the techniques. 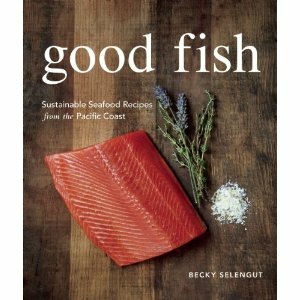 5) You have a new book coming out called "Good Fish", which focuses on buying and cooking sustainable fish. Since a lot of fish can be cooked sous vide, do you have any tips for our readers to hold them over until they can go out and buy your book? The thing I most like about sous vide is its ability to get people to nail a perfect doneness. Cooking fish perfectly is a challenge for most people - sous vide will open the beauty of well cooked fish up to those fortunate enough to have access to the technology. Furthermore, what you place in the bag with the fish has no chance to be diluted and with a vacuum seal really becomes one with the fish. One sprig of thyme tasted like 20 sprigs of thyme. One bay leaf was like 5. Think carefully about your flavors and maximize the benefit of including them in the bag. One last thing.... I would be remiss, at this point, not to point out my biggest hesitation with sous vide and since we're talking about my sustainable seafood book, it's probably obvious that I don't feel good about all the plastic involved with sous vide cooking. I'm tired of seeing plastic bags swirling in the ocean and am hesitant to add more to the pile. I challenge all the smarty pants out there - the ones really embracing modernist cooking - to come up with a more sustainable medium in which to cook food under pressure. Go forth! Invent! and have fun cooking.